This black 15 gallon deldrum is a closed head drum and the cover is not removable. It has two 2" buttress plugs with 3/4" center reducers. It is blow molded and made from high density polyethylene and is heavily constructed for maximum chemical resistance. It has dual rectractable handles for extra strength and durability. This is an X rated Packing Group I drum with a UN rating of UN1H1/X1.9/250. It has a stackable interlocking design and exaggerated rolling hoops for easy handling and optimal label protection. Please call for pricing on our 15 Gallon Plastic Drums. If you intend to order a quantity significantly greater than 24 of this item you may request an individual price quotation. 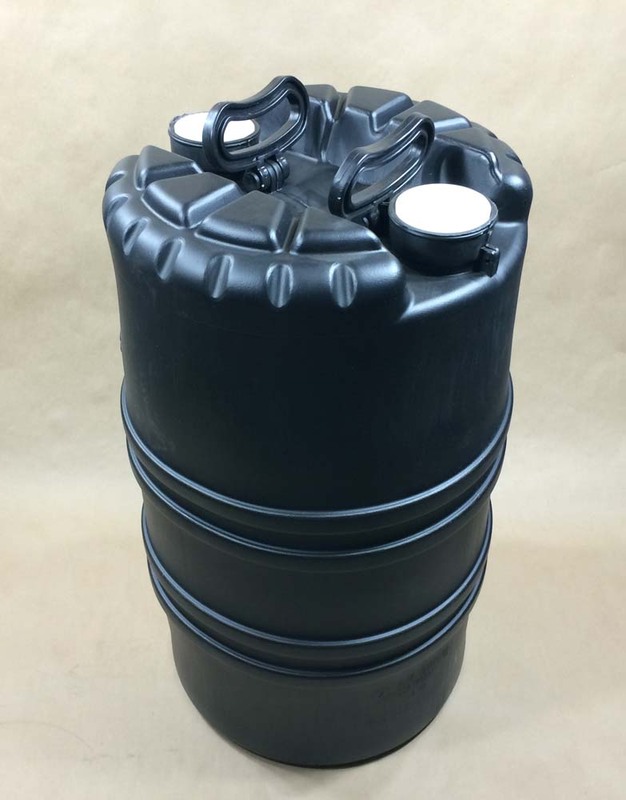 How your 15 Gallon Plastic Drum order is shipped depends largely on the size of your order. For this reason shipping information relevant if you are ordering one case may not be relevant if you are ordering 10 cases of the same item. Specifications for Plastic Drums are nominal and may vary slightly from those shown here.